The Health Benefits of Cumin. You can’t do without cumin for south Indian Sambar Podi (sambar powder) or for that matter Mexican sauces or chilli con carne, nor ‘tarka’ of Vegetables is conceivable in the North India without Cumin. As far away as two ends of the globe cumin is an essential spices in Latin America, South East Asia or rather world-over; though indigenous to Egypt. Tasting strong, heavy and warm with a spicy-sweet aroma and a flavour described as pungent, powerful, sharp and slightly bitter, Cumin (Cuminum cyminum) is one of the oldest spices. However frying or dry roasting modifies aroma of cumin. Cumin is widely cultivated in Europe, Asia, the Middle East, and North Africa with India and Iran as the largest cumin exporters. The valued portion of the plant is the dried fruit called cumin seed, which is esteemed as a condiment. In ancient times cumin was a symbol of greed and meanness. Curiously, by the Middle Ages it was regarded as a symbol of faithfulness! Cumin is native to the Levant and Upper Egypt; that is Nile valley is especially associated with Morocco, where it is extensively used. Yet propagated by Arabian traders, it now grows in most hot countries, especially India, North Africa, China and the Americas. Cumin was known to the Egyptians as early as 5000 years ago; the seeds have been found in the Pyramids; making it one of the earliest of spices to be harnessed. The Romans and the Greeks used it medicinally and cosmetically to induce a pallid complexion. At times cumin signified greed and cupidity among the Greeks; thus the avaricious Roman Emperor, Marcus Aurelius, was nicknamed ‘Cuminus’ because of his avarice, and misers were jocularly said to have eaten Cumin. Cumin is mentioned in Isaiah xxvii. 25 and 27, and Matthew xxiii. 23, and in the works of Hippocrates and Dioscorides. From Pliny we learn that the ancients took the ground seed medicinally with bread, water or wine, and that it was accounted the best of condiments. The seeds of the Cumin when smoked, were found to occasion pallor of the face, whence the expression of Horace, exsangue cuminum. Kanyakumari inscriptions (c 1000 ACE) of Prakrama Pandiyan, a Tamil King, indicates that Cumin was used in preparation of a sweet dish – Paniyaram- along with fruits, sugarcane and dry ginger. English cumin comes from Latin cuminum, which was loaned from Greek kyminon which incidentally is akin to Old Hebrew kammon, Egyptian kamnini, Akkadian kamunu. In Tamil it is Jiragam possibly derived from the Sanskrit ‘Jeera’- whose root signify “decayed, aged” (jarana, jirana , jirna). Another name for cumin in Sanskrit sugandha (well- smelling) is also used for a many of other aromatics, indicates that cumin was highly popular in ancient India. Another, more frequent Sanskrit name of cumin is ajaji. Cumin plant is a small, slender, glabrous herbaceous annual belonging to parsley family. The plant can usually reach 25 cm while some varieties can double this height. Often the plant stalk tends to droop under its own weight. The blue-green linear leaves are finely divided and generally turned back at the ends. The upper leaves are nearly stalkless, but the lower ones have longer leaf stalks. The flowers are small, pale rose or white, in stalked umbels with only four to six rays, each of which are about 3 cm long. Cumin is grown from seed. A hot climate and sandy soil are preferred, but it can be grown under green house too. It flourishes best in sunny places with some rainfall. The seeds are normally ready for harvest four months after planting. The harvest of the plant is made as and when the seeds turn to brown, and the stalk are threshed, cumin seeds separated thereafter dried like the other Umbelliferae. The ‘seeds’ (actually the fruit) come as paired or separate carpels, and are 3-6mm long. The small, boat-shaped seed have a striped pattern of nine ridges and oil canals, and are hairy, brownish in colour, tapering at each extremity, with tiny stalks attached. They resemble caraway seeds, but are lighter in colour and unlike caraway, have minute bristles hardly visible to the naked eye. The strong aromatic smell and the warm, bitterish taste of Cumin fruits are due to the presence of a volatile oil which is separated by distillation of the fruit with water, and exists in the proportion of 2 to 4 per cent. It is limpid and pale yellow in colour, and is mainly a mixture of cymol or cymene and cuminic aldehyde, or cyminol [C3H7-C6H4-CHO]. In toasted cumin fruits, a large number of flavour compounds such as pyrazines are found. Besides pyrazine and various alkyl derivatives (particularly, 2,5- and 2,6- dimethyl pyrazine), 2-alkoxy-3-alkylpyrazines (2-ethoxy- 3-isopropyl pyrazine, 2-methoxy-3-sec-butyl pyrazine, 2- methoxy-3-methyl pyrazine) sulfur compound ( 2- methylthio-3-isopropyl pyrazine) are detected to be the key compounds. Cumin is a most popular spice all over the world, especially in Latin America, North Africa and all over Asia, but least so in Europe, although it had been a common spice in the times of the Roman Empire. Today, cumin usage in Europe is restricted to flavouring cheese in the Netherlands and in France. This seed spice is, like coriander, an ancient Mediterranean flavor. It is popular in Morocco in kabobs and couscous, in England in mulligatawny soup, in German sausages, pickles, cakes and breads, and Dutch cheese. Cumin is grown extensively in Iran, and is used in many Persian recipes. However, the Iranian spice, black cumin, and the similar spice, nigella, are as popular in Iran, India and a few other countries, and are often confused. Black cumin is the fruit of a related plant that grows wild in Iran and the Northern Indian region of Kashmir. It is sometimes preferred to ordinary (white) cumin for Northern Indian meat kormas. Cumin is one of the most typical spices for India, especially the Southern part. The fruits are used as a whole, and are fried or dry-roasted before usage. Legumes, especially lentils, are normally flavoured by cumin fried in butter fat. Furthermore, the seeds form an important part of sambar podi (sambaar powder), curry powder, garam masala and of the Bengali spice mixture panch phoron. Cumin is essential for the preparation of Northern Indian tandoori dishes. The usage of toasted legumes is typical for South Indian cuisine; the fragrance of roasted cumin, typically in combination with coriander, is the most characteristic impression from South Indian or Sri Lankan cuisine! In Indian recipes, cumin is frequently confused with caraway, which it resembles in appearance though not in taste, cumin being far more powerful. This is due to a misunderstanding of the Indian word jeera. The term usually means cumin, but can occasionally mean caraway (Shajira). Oil of cumin is used in fragrances. 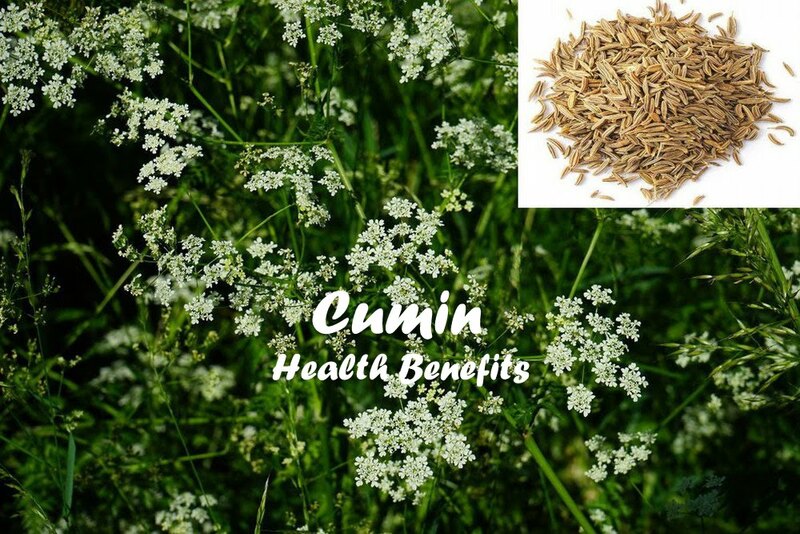 Cumin resembles other similar old spices, having been advocated for many medical indications; for example cumin is considered an effective remedy for indigestion in many traditional medical practices. As a medicinal plant, cumin has been utilized as an antispasmodic, carminative, sedative, and stimulant in home remedies. Used in a poultice, it relieves swelling of the breast or the testicles. Smoked in a pipe with ghee, it is taken to relieve the hiccups, and Cumin is said to stimulates the appetite. Cumin is also used in veterinary practice, in which it is employed as a carminative. It is supposed to increase lactation and reduce nausea in pregnancy. It has been used for a very long time as traditional home remedy in the treatment of diarrhoea, dyspepsia and gastric disorders, and as an antiseptic agent; but scientific evaluation is yet to be made. Nonetheless, studies carried out suggest that cumin oil has antibacterial activity. Distinct phototoxic effects have been reported from undiluted cumin oil. Minimum inhibitory concentration studies (MIC) with isolated cuminaldehyde indicate that it is effective upon different microorganisms, including bacterial strains, yeasts and fungi suggesting that the greater part of this antimicrobial activity may be attributed to the cuminaldehyde that is present in the dried fruit of this plant.